News TV Channel / An independent Arab news channel interested in Arab affairs, including Iraqi affairs. We seek to establish the foundations of solidarity and Arab unity away from sectarianism and ethnicity and to shed light on the principles of true citizenship without distinction or distinction between citizens and seeking to preserve the Arab identity to realize the unity of destiny and the goal among the sons of the Arab nation and their aspirations for a better future. The channel is committed to renouncing sectarian violence and presenting the truth to the public as it is without bias in accordance with the obligations stipulated by the media honor codes and the decisions of the Council of Arab Information Ministers in this field. 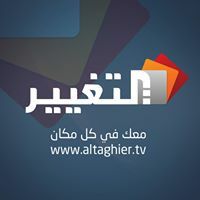 Contribute to the creation of an independent Arab media environment that reflects the events according to professional standards until we become one of the sources of reliable news for Arab viewers.